Here are some of our favourite, free, low carb, keto Australia Day Recipes that are gluten free, grain free, sugar free and delish! Everyone needs a low carb vegemite in their lives on Australia Day! Keto Lamington Chia Pots make great low carb breakfasts or snacks! Our new Lamington Bites come in three flavour variations and they’re delicious! Taste just like real lamingtons! 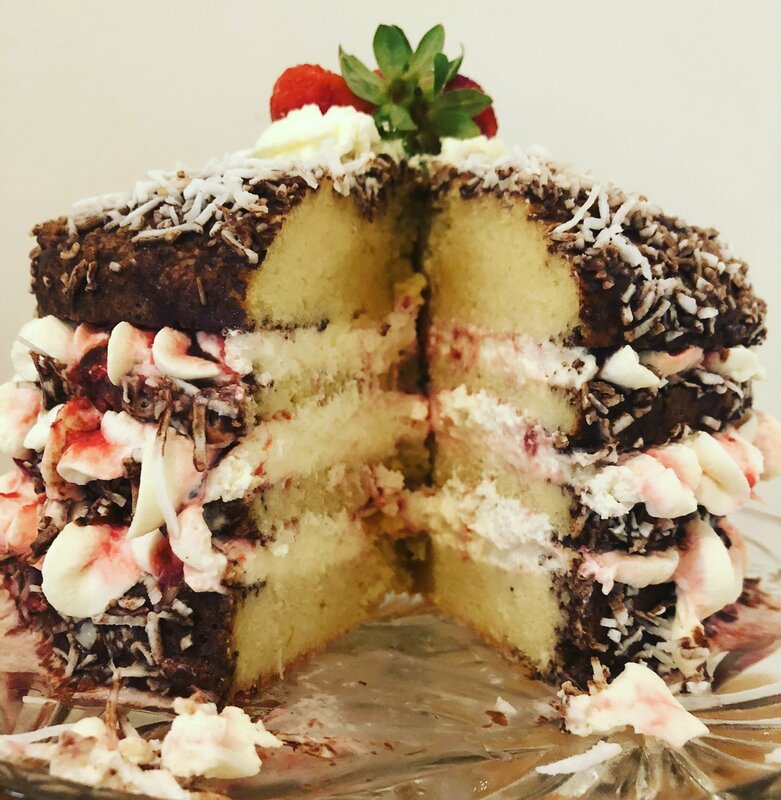 We also made a beautiful Raspberry Swirl Lamington Cake for your Australia Day gatherings. And put it all together to make this fabulous ‘WOW’ layered cake! Too hot to ‘throw a shrimp on the barbie’?? How about this awesome prawn cocktail instead! Whipped up in a flash and total crowd pleaser!